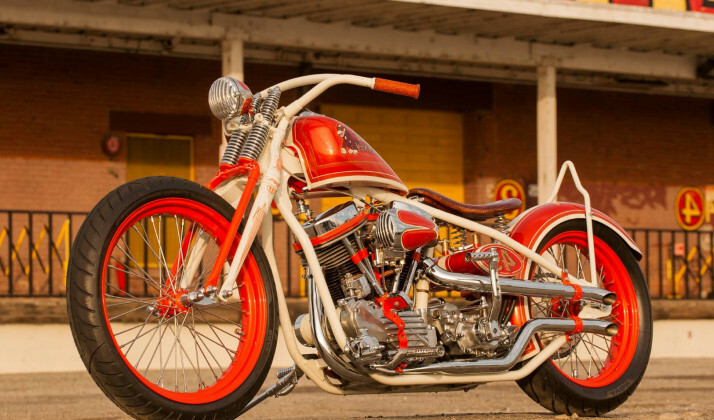 Bring us parts or bring us a complete bike and we’ll get the job done. 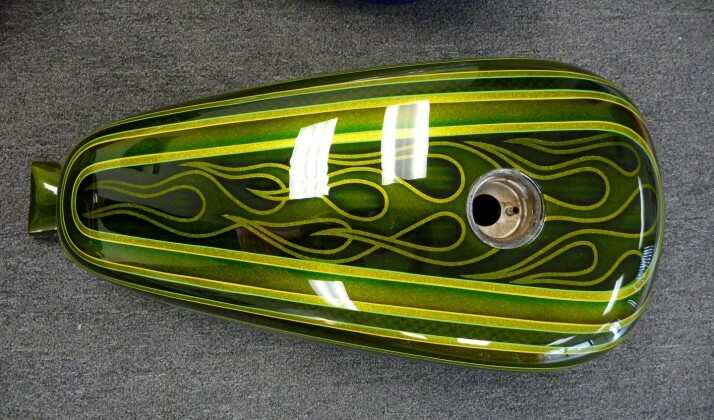 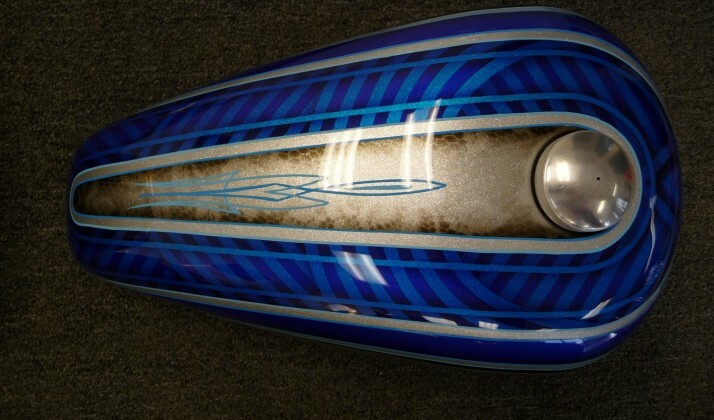 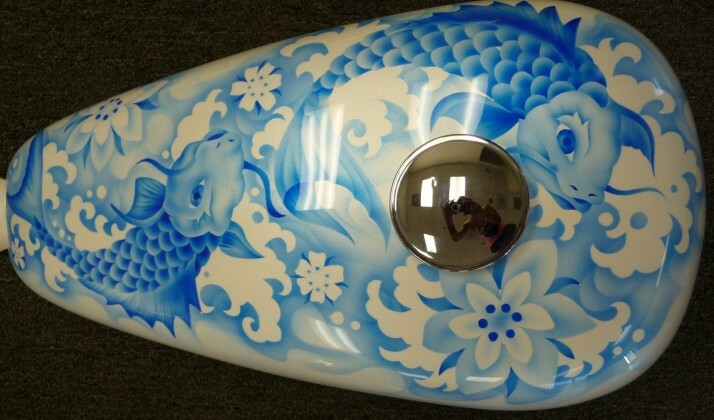 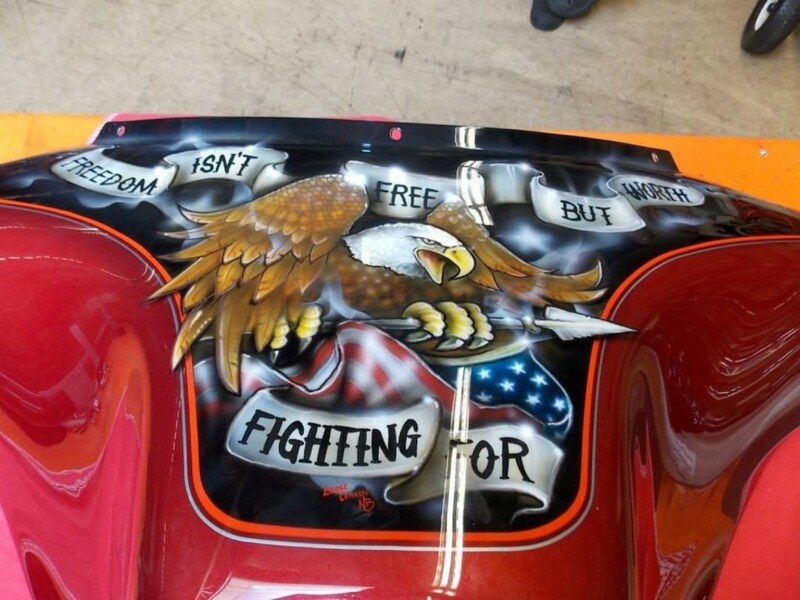 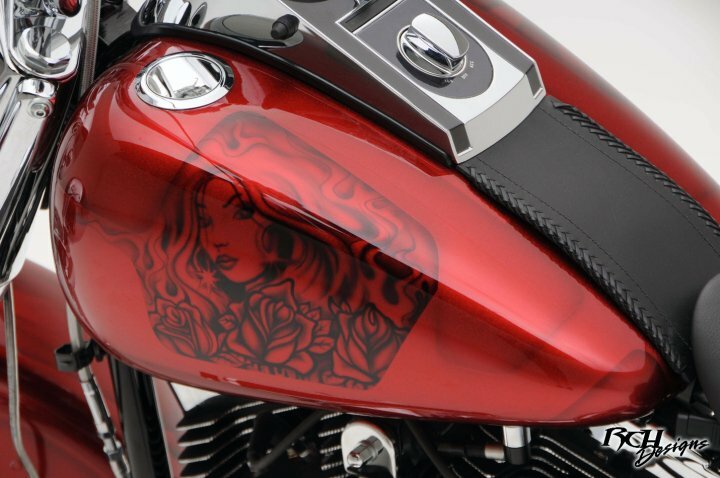 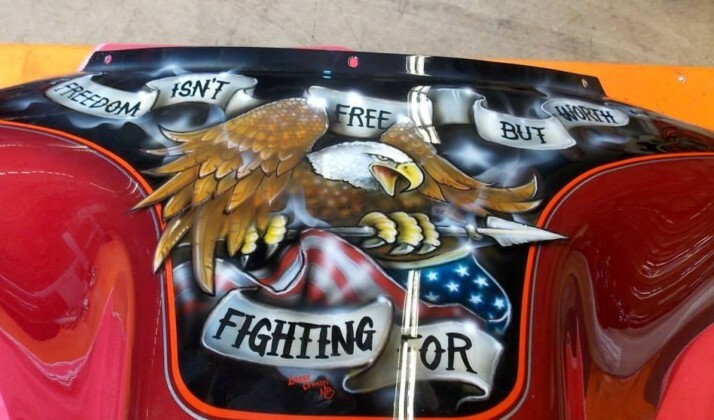 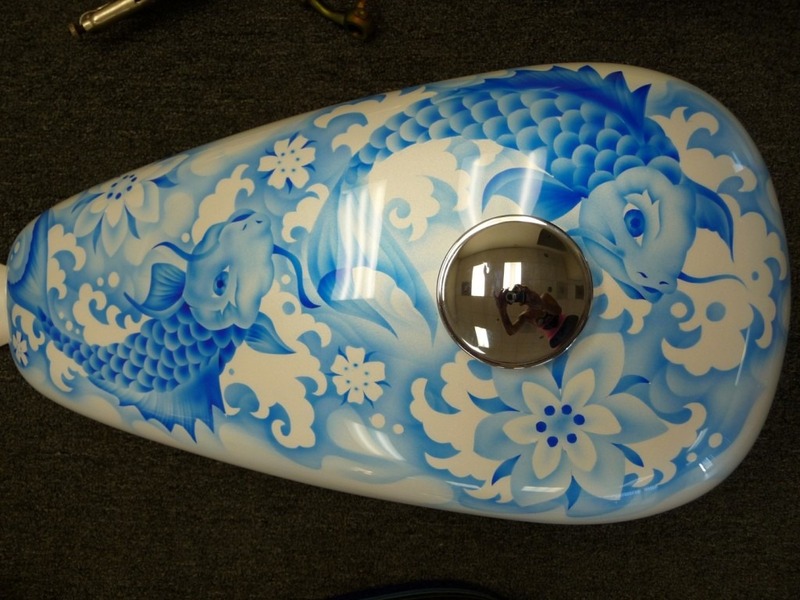 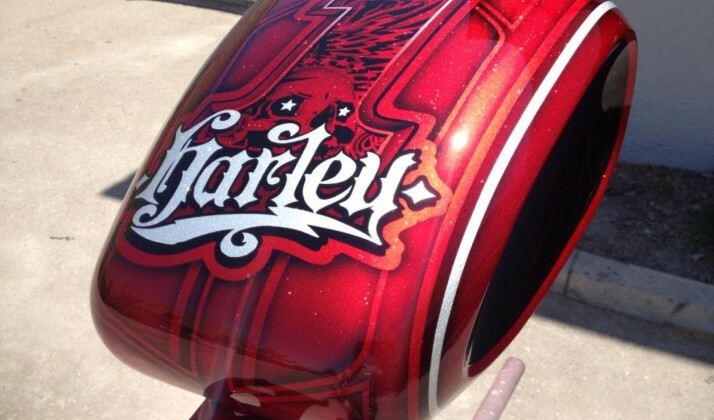 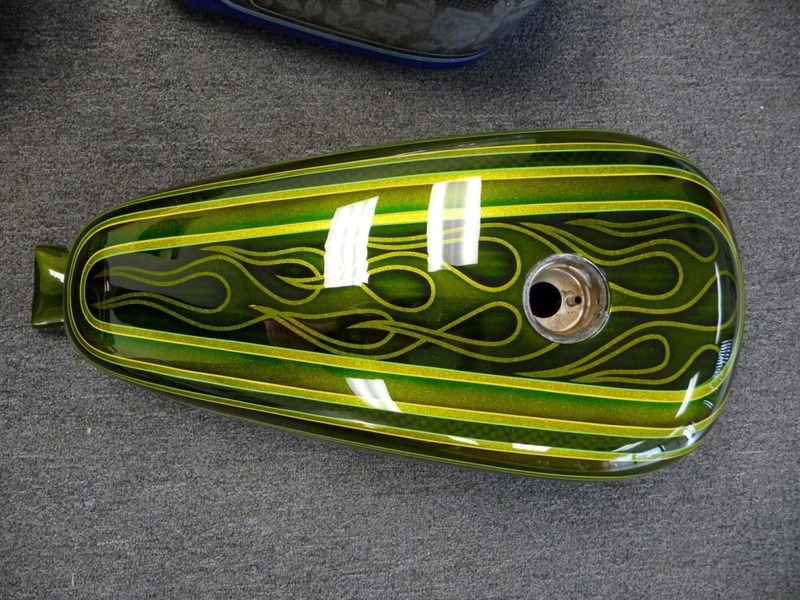 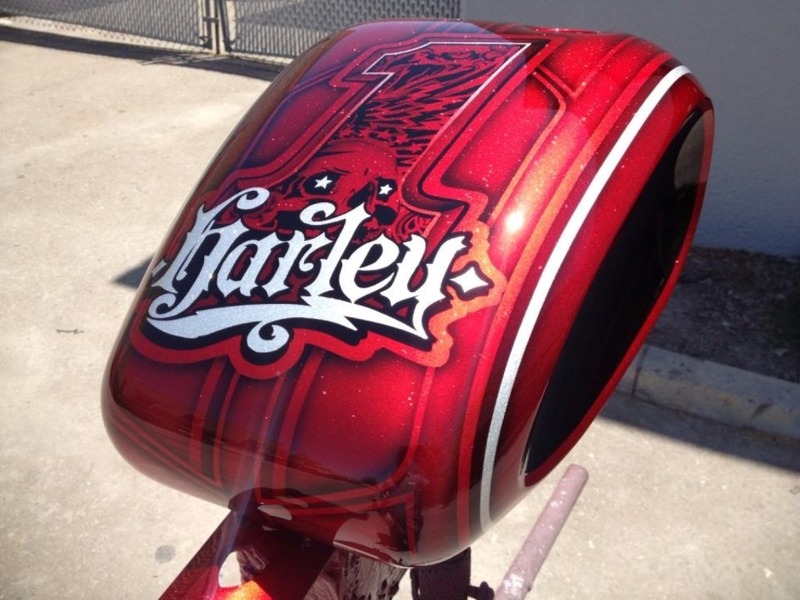 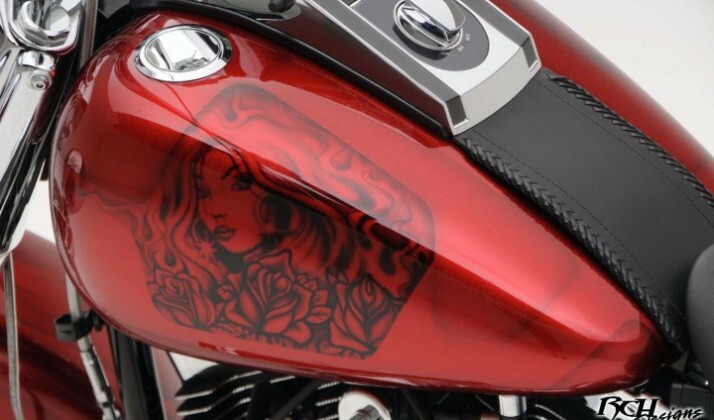 Whether you want a single color or custom airbrush work, we are happy to help you. 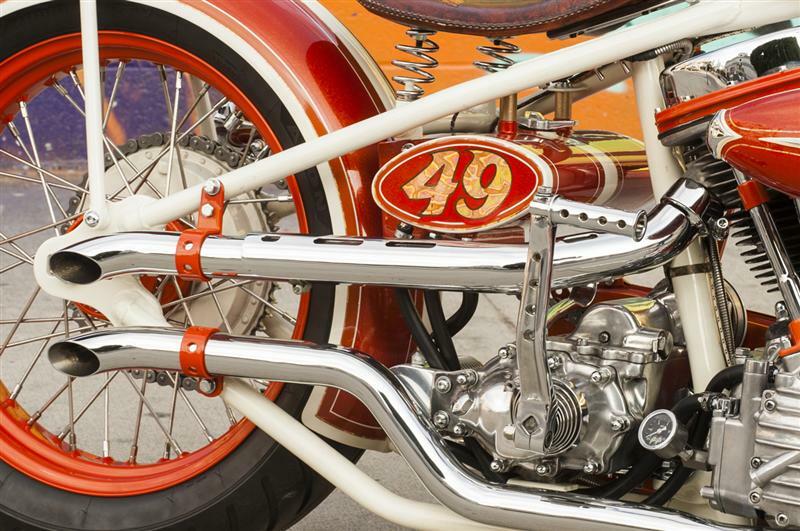 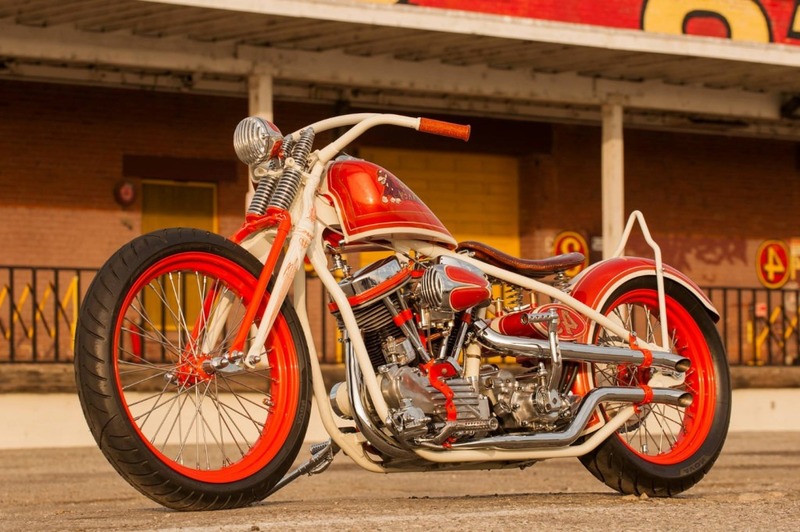 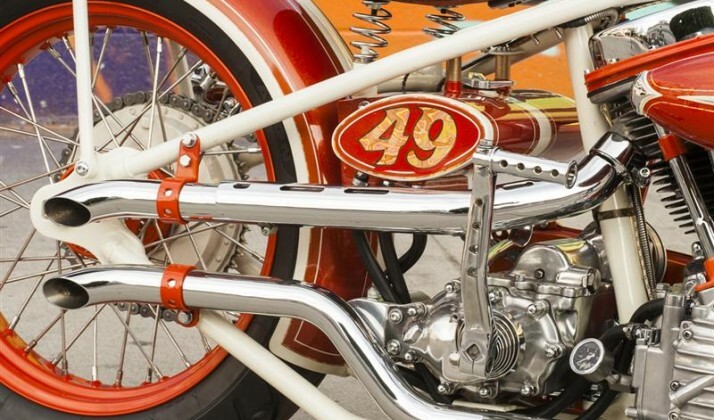 We’ve done it all; from Hondas to Harleys and back…and bikes are one of our favorite types of work to do at the shop. 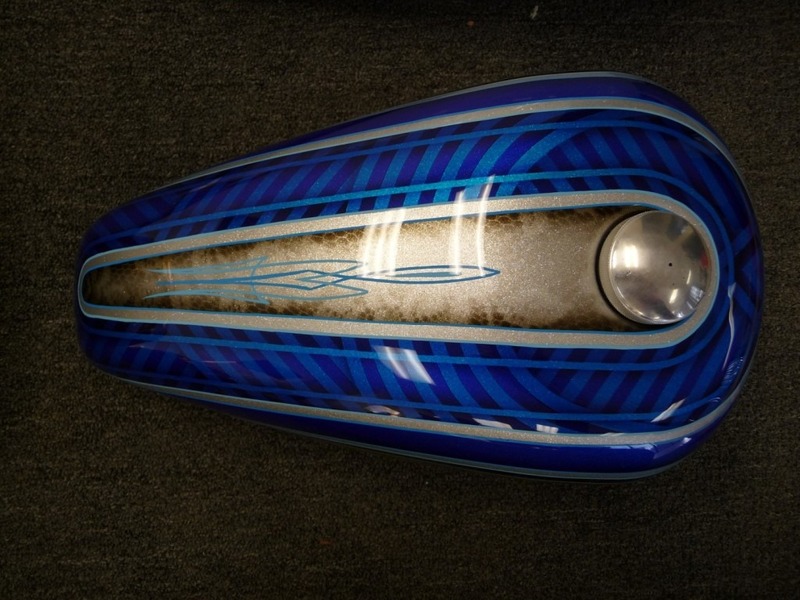 Stop by and see a sample collection of gas tanks and fenders or visit the “Our Work” gallery on the left to see pictures.